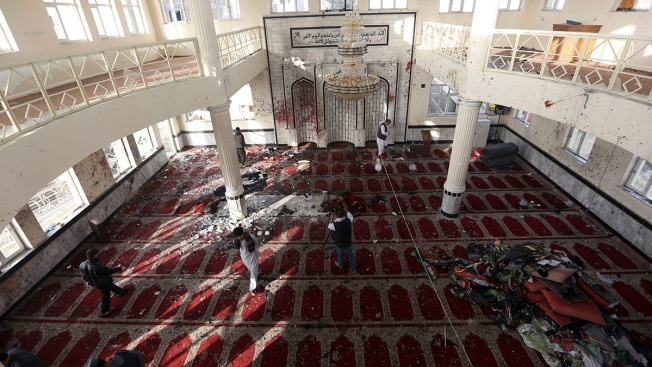 In this file photo, Afghans inspect inside a damaged mosque in Kabul, Afghanistan, Saturday, Oct. 21, 2017, a day after a suicide attack. An attacker blew himself up inside a mosque in the eastern Paktia provincial capital of Gardez on Friday, Aug. 3. Two suicide bombers attacked a Shiite mosque in eastern Afghanistan during Friday prayers, killing at least 29 people and wounding another 81, officials said.